The founder of Mugairyu, Tsuji Gettan Sukemochi (also known as Heinai) was born in 1648 in what is now Shiga Prefecture. When he was 13 he went to Kyoto to study Yamaguchiryu kenjutsu. At the age of 26 he opened a Yamaguchiryu school in the 9th sector of Kojimachi in Edo (old Tokyo). Tsuji realized the importance of spiritual education, and so he went to study Zen and Chinese philisophy under monk Sekitan at Azabu Kyukoji Temple . After monk Sekitan passed away, he continued his Zen practice under the second chief priest Shinshu, and at the age of 45 achieved enlightenment. Gettan Sukemochi in 1693 founded Mugairyu. Due to 20 years of spiritual dedication, Gettan was known not just as a master of the sword, but also as an enlightened zen philosopher and scholar. At Kyukoji Temple he was often in contact with many powerful lords of the time, including the Lord of Ogasawara Sado, Sakai Kageyu Tadataka, leader of the feudal Umayabashi clan, and the leader of the Tosa clan, Yamanouchi Toyomasa. Because Gettan's house was destroyed in the 1695 fires of Edo , the exact number of his disciples is unknown, but it is known that in the 14 years to 1710 his students included 32 households of major lords, 156 disciples of high rank, and 930 other students. When Gettan was 61 years old, at the discretion of Lord Sakai he was to debut in front of the fifth shogun Tsunakichi, but unfortunately Shogun Tsunakichi passed away before Gettan had an audience with him. However, for a masterless sword instructor to be invited to have an audience with the shogun at that time was an incredible acheivement. 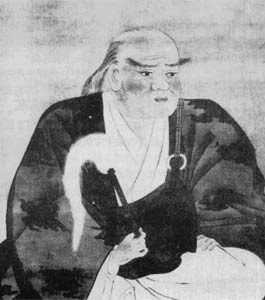 As a sword master and Zen disciple, Gettan felt that the sword and Zen were inseparable, as he explained in his writing “Mugai Shinden Kenpo Ketsu” on the true meaning of Mugairyu. Any who wanted to learn Mugairyu had to first become a proficient student of Zen before Gettan would teach them the sword. Probably this rule was followed until the Meiji period. And so, having never had a family, in 1728 at the age of 79, on the same day of the same month Zen monk Sekitan passed away, Gettan passed peacefully into the next world while deep in meditation, his juzu in his left hand, his hossu in his right. Mugairyu iai comes directly from Jikyoryu. Gettan studied Jikyoryu from master Taga Jikyosai Morimasa, who did not have a pupil to carry on after him, and so instead of letting Jikyoryu fade away, he brought those teachings into Mugairyu. 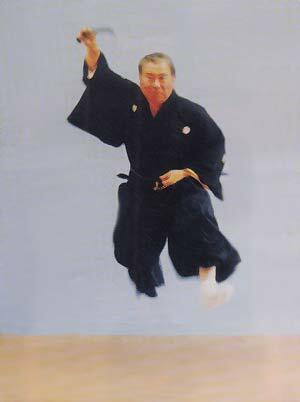 The style of Mugai-ryu is “simple and vigorous”; it's very practical having removed anything pompous and unnecessary. The main techniques are gyaku-gesagiri and tsuki. 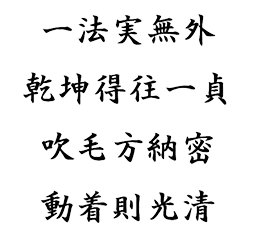 In every kata, the fist cut is “go-no-sen” (no anticipation), while the second one is very quick.